Warhol was an American artist who became a leading figure in the visual art movement known as POP ART. He suffered at an early age with a rare neurological disorder and found solace in popular culture and comic magazines. His works explore artistic expression, celebrity culture and advertisement in the 1960s. After a successful career as a commercial illustrator, Warhol became a renowned and sometimes controversial artist. 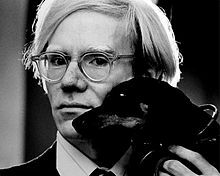 His native city, Pittsburgh, Pennsylvania, houses The Andy Warhol Museum - an extensive and permanent collection of his art. It is the largest known museum in the United States that is dedicated to a single artist.